Words are not absolute, but they suffice in representing tangible items and ideas that we can see or feel. For example, steel is not stainless. Stainless steel is only able to resist corrosion due to its interaction with its alloying elements. Specifically, stainless steel is at least ten percent chromium. Even so, antithetical to its name, stainless steel is known to rust. This is because the abundant and versatile metal cannot always exist in a perfect environment. 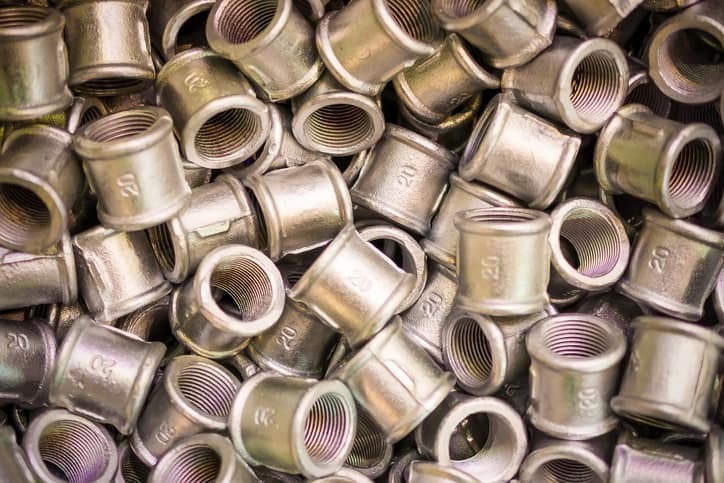 Realistically, foreign material in a manufacturing environment, paired with mechanical, heat, and chemical damage, transfers iron to the surface of stainless steel parts or exposes iron in some other way, thereby hindering the resistance to rust. These contaminants need to be removed down to the surface grain boundaries. This stripping down to the structure of the stainless steel surface is known as passivation, and it is generally carried out in nitric acid or citric acid. SAE AMS 2700F-2018: Passivation of Corrosion Resistant Steels refers to these as Method 1 and Method 2, respectively. There are also five classes of passivation. In addition to laying out the classification of passivation of stainless steels, SAE AMS 2700F-2018 provides guidelines for conducting nitric or citric acid methods and outlines specific values for each of the Method 1 types. It also covers various properties and quality assurance provisions of treated parts. SAE AMS 2700F-2018 is purposed with covering guidelines for the passivation process, by which free iron or other less noble contaminants are removed from the surfaces of corrosion resistant steel parts. However, even though it typically is used to dissolve tramp metallic elements from the surfaces of corrosion resistant steels to improve their corrosion resistance, the SAE AMS 2700F-2018 standard’s usage is not limited to such applications. The “F” in the SAE AMS 2700F-2018 designation indicates that this document is the sixth edition of the standard for the passivation of corrosion resistant steels. This specification was altered to add ordering information, and changes were made to the sections covering Methods, Corrosion Resistance, Water Immersion, Copper Sulfate Test, and Surface Appearance. In addition, Appendix A, “Test Methods For Determination Of Passivity,” from SAE AMS 2700D-2011 has been removed. SAE AMS 2700F-2018: Passivation of Corrosion Resistant Steels is available on the ANSI Webstore. A good industrial protective coating can saves both time and money. It propounds an extra level of protection and also provides visual interest.